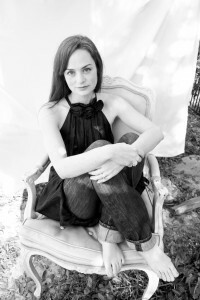 In addition to The Pure Trilogy, Julianna Baggott is the author of seventeen books which appear under her own name as well as Bridget Asher and N.E. Bode; there are over seventy-five overseas editions of her books. Most notably, she’s the author of the National Bestseller Girl Talk, The Madam, and The Provence Cure for the Brokenhearted, for adult readers; and The Anybodies Trilogy and The Prince of Fenway Park for younger readers; as well as three collections of poetry, including Lizzie Borden in Love. She co-wrote Which Brings Me to You with Steve Almond, A Best Book of 2006 (Kirkus Reviews). Her work has appeared in The New York Times, Washington Post, Boston Globe, International Herald Tribune, Best American Poetry, Best Creative Nonfiction, NPR’s Talk of the Nation, All Things Considered, and Here & Now. For two years, her alter-ego, N. E. Bode was a recurring personality on XM Radio. Her work has been a People Magazine pick alongside David Sedaris and Bill Clinton, a New York TimesNotable Book of 2012, a Washington Post Book of the Week, a Girl’s Life Top Ten, a Booksense selection, and a Starbucks Bookish Reading Club pick. She is an associate professor at Florida State University’s College of Motion Picture Arts.